Hallo! 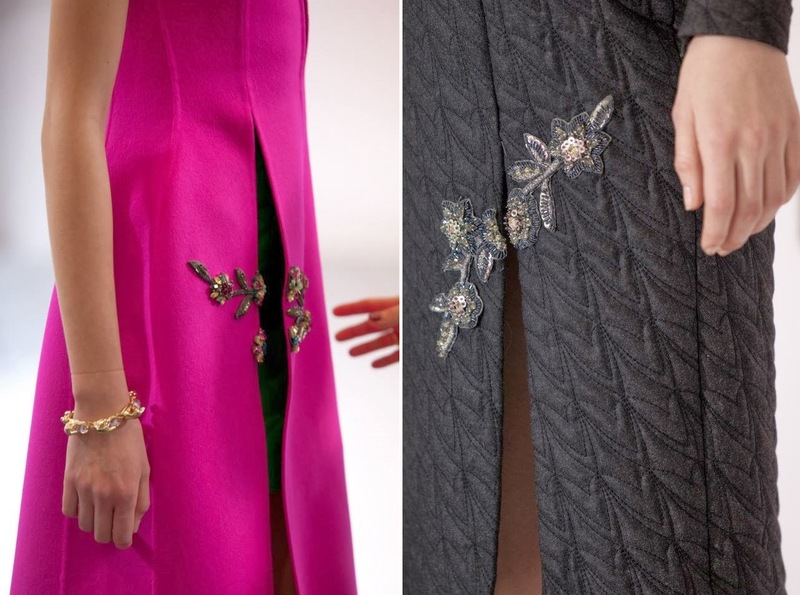 I found this sooo nice details by Dior Ready-to-wear Autumn/Winter 2014-15 collection. I really like that details. And you? And have a nice weekend! Ahoj! Našla som práve tieto detaily z kolecie Dior ready-to-wear jeseň/zima 2014-15. Naozaj sa mi tieto detaily páčia. A vám. Pekný víkend! I agree! That is beautiful detail! Thanks for sharing! thanks for sharing. i like detail shots. So pretty, love the bling! Love the detail and the color of the fuchsia! Great Post!